With many rival groups in the region using Facebook and Twitter to advance their political agendas, both companies face accusations of bias whenever they suspend accounts. ISLAMABAD/NEW DELHI — Pakistani social media campaigner Hanzala Tayyab leads about 300 ultra-nationalist cyber warriors fighting an internet war with arch-foe India, in a battle that is increasingly sucking in global tech giants such as Twitter and Facebook. Tayyab, 24, spends his days on Facebook and encrypted WhatsApp chatrooms organizing members of his Pakistan Cyber Force group to promote anti-India content and make it go viral, including on Twitter where he has more than 50,000 followers. That ranges from highlighting alleged Indian human rights abuses to lionizing insurgents battling Indian security forces in Kashmir, a disputed Himalayan region at the heart of historic tensions between Pakistan and India. 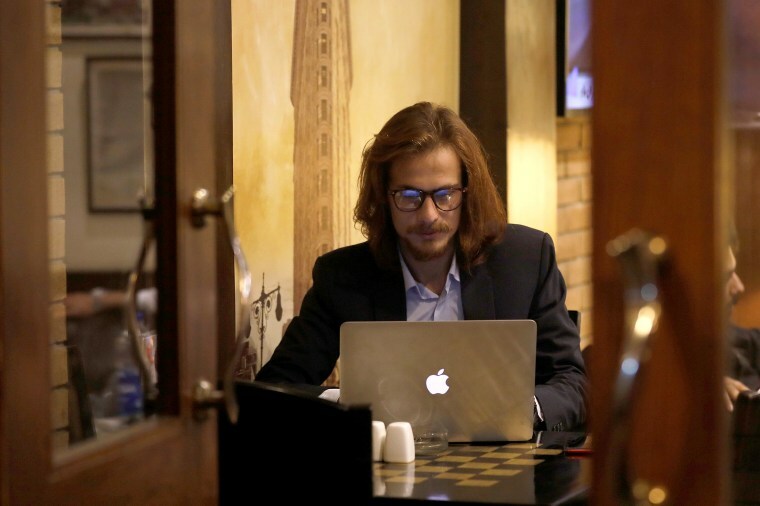 Tayyab’s job became harder on Monday when the Pakistan Cyber Force’s Facebook account was taken down, one of 103 Pakistani accounts the social media giant said it had deleted because of “inauthentic behavior” and spamming. Some Indian nationalist accounts have also been suspended in recent weeks. Portraying himself as an online combatant defending Pakistan from India’s attempts to destabilize his country, Tayyab plans to continue playing his role in the broader information war being fought between the nuclear-armed foes. “We are countering the Indian narrative through social media, we are countering the enemies of Pakistan,” Tayyab told Reuters in the capital Islamabad. With a combined population of 1.5 billion, India and Pakistan are hot growth markets for Facebook and Twitter, say analysts. But with many rival ultra-nationalist and extremist groups in the region using Facebook and Twitter platforms to advance their political agenda, both companies face accusations of bias whenever they suspend accounts. Facebook has been buffeted by controversies across the globe in recent years, including for not stopping the use of fake accounts to try to sway public opinion in the 2016 U.S. Presidential election and Britain’s vote to leave the European Union, and for not acting to stamp out hate speech on its platform that was fueling ethnic violence in Myanmar. Four Facebook and more than 20 Twitter accounts belonging to members of the Pakistan Cyber Force have been shuttered in the past two months, according to Tayyab, who is still angry at Twitter for shutting down his previous personal account in 2016. A Facebook spokesperson told Reuters the company did not remove the Pakistani accounts because of Indian government pressure, but because people behind them coordinated with one another and used fake accounts to misrepresent themselves. “When we disrupt these networks for coordinated inauthentic behavior, it’s because of their deceptive behavior and not because of the content they’re sharing, or the ideology or political leanings of the people behind them,” Facebook said. Pakistan and India flirted with war in February, when they carried out aerial bombing missions against each other’s territory for the first time since the 1971 war and fought a brief dogfight over the Kashmir skies. That flare-up was accompanied by a fierce propaganda war on social media. This online battle of political and ideological narratives is one that Pakistan’s military believes it must win at all costs, analysts say. Military spokesmen often warn unconventional “fifth generation warfare” is being waged against Pakistan. Facebook said on Monday the 103 accounts removed were part of a network linked to employees of the Pakistani military’s public relations arm. Tayyab denies the Pakistan Cyber Force is linked to Pakistan’s military, saying the group is made up of volunteers. But analysts say such cyber armies work directly either for Pakistan’s military or civilian state organizations, acting as de facto proxies or militias in the online battlefields. “These groups who are being resourced and organized are actually a kind of a line of defense for this fifth generation warfare,” said Shahzad Ahmed, from Pakistani digital rights group Bytes for All. Pakistan’s military did not respond to a Reuters request for comment. In India, similar nationalist groups are popping up and pushing to purge and punish those who they perceive to be critical of India – or supportive of Pakistan – on social media. One such group, Clean the Nation, says its actions have resulted in more than 50 people who had posted what it called anti-India comments and remarks critical of India’s armed forces being arrested or suspended from work or education. Kaushik said Clean the Nation had no formal links with the ruling Bharatiya Janata Party (BJP), though one BJP leader praised the group when it was founded in late February, following an attack by a Pakistan militant group in Indian-controlled Kashmir that killed 40 paramilitary police. Two of Clean the Nation’s founders, Siddharth Kapoor and Ashutosh Vashishtha, are followed on Twitter by India’s Prime Minister Narendra Modi. Others including Kaushik have posted pictures on social media of meetings with Modi and other members of his cabinet. Amit Malviya, the BJP’s head of social media, did not respond to a request for comment. Clean the Nation said some of its accounts had been banned or suspended by Facebook last month. That action was unconnected with the 549 accounts and 138 pages linked to India’s opposition Congress Party that Facebook said on Monday had been taken down.